Obesity is a condition that affects millions of people across the United States. In short, obesity is defined as having excess body fat. Technically speaking, the threshold for what constitutes “obesity” is having a Body Mass Index of 40 or greater. Many of these tasks are required in order to perform the necessary functions of many jobs. Therefore, sometimes, people suffering from obesity have a difficult time getting and holding jobs due to their disease. Unfortunately, obesity is no longer listed as a qualifying disease under the Social Security Administration’s guidelines. However, that does not necessarily foreclose an applicant suffering from obesity from qualifying for social security disability benefits. In order to qualify for disability with an obesity diagnosis, the applicant must prove that they cannot perform the necessary functions of even a sedentary job due to the effects of their disease. A sedentary job is one that requires little walking, jumping, crouching, or moving. In an eight-hour shift, a sedentary job would require no more than two hours of standing and only the occasional lifting of 10 pounds or less. Examples of sedentary jobs include: receptionists, packers, sorters, surveillance systems monitors, and dispatchers. Must Applicants Only Consider Their Obesity when Applying? The short answer is no. The Social Security Administration will consider the cumulative effects of any diseases and disorders an applicant is currently suffering from when determining whether that applicant is able to perform the tasks of a sedentary job. Therefore, it benefits the applicant to have a complete, documented history of all diseases and disorders, as well as their symptoms. 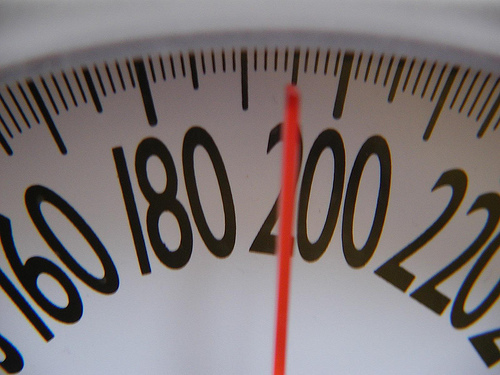 Are You Suffering From Obesity and Considering Applying for Social Security Disability? If you are currently suffering from obesity or a combination of obesity and other diseases or disorders that adversely affect your ability to perform the necessary tasks of a job, you may qualify for social security disability. While the process can be completed on your own, it may behoove you to enlist the services of a qualified Indiana Disability attorney to assist you in the preparation of your application. Many applications are rejected for typographical and other errors that many first-time applicants are likely to make. If you need assistance in applying for disability benefits or assistance in appealing a denial of your application for disability benefits, please contact Ted Smith attorney today at, 800-296-2290.